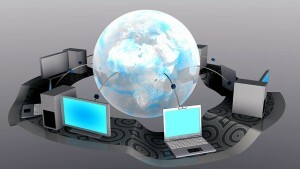 One of the first decisions any online-based brand will make is the selection of a hosting provider. This is often a rushed decision, with many prioritizing cost over everything else. We don’t often think much about our hosting choices after the fact, and instead try to focus on improving our websites, increasing exposure and selling more products. Unfortunately for some, hosting provider choice is a huge decision that can have a very profound impact on a brand’s performance. Below, we’ll review some of the biggest reasons why selecting the right hosting provider is so crucial to a brand’s success. Perhaps the biggest reason why your hosting provider selection matters is due to speed. It has been documented thoroughly that pinging networks more slowly leads to lower page rankings in Google results and other search engines. If your website’s page loading speed is relatively slow, then you’re likely going to be ranking in a lower position in search than you would with a faster host. Because of this, price is not always the best factor to consider in selecting a hosting provider. You’ll want to shop around and compare, researching stories and evidence that help you determine which providers supply the fastest service. If it weren’t enough, page loading speed also impact your bounce rate and therefore how many people find value in your website: if it loads slowly, then they probably won’t stick around too long or be back again. The number of hosting services that provide various add-ons is high, but not all providers supply their customers with the same useful services. Some hosting providers give their users access to instantaneous WordPress installs, for instance, making it easy for them to not only setup a website, but keep it updated. Other bare-bones hosting providers – while keeping prices low – may not offer such benefits, requiring you to trade money for time. You’ll want to carefully review which features are offered by prospective providers and consider carefully which services and functionalities you need to operate your online brand smoothly. With any hosting provider in particular, it can be easy to understand the terms of a static arrangement. What might that look like if your website grows in size by ten fold? It’s important to understand that any successful website is bound to grow, and with that growth will come the need for a variety of new services, more bandwidth and greater storage. Not only does the scalability of such a service matter, but the cost – both current and future – also plays a role. You don’t necessarily want to pick the cheapest or most expensive services out there, but it’s also worth considering how much more you’ll be paying for pinging networks in the future if your audience grows by one or two magnitudes. The overall cost and scalability, quality of the services provided and potential impacts to SEO are all important reasons to consider when selecting a hosting provider. In the end, not all hosting providers are created equally and it isn’t merely a place where your website is stored. By choosing carefully, you’ll avoid headaches in the near-term and beyond. Are Traditional Websites Poised to Die?